Sometimes you look at your list of classes and think "What am I doing?! I just want to start all over again!" or "Okay this class is toast. Next semester, I'm going to set this up differently." Whatever the reason, deleting a class is super easy. NOTE: Before you delete a class, consider if what you really want to do is Reset Class. 1. Sign on and go to the My Classes tab. 2. 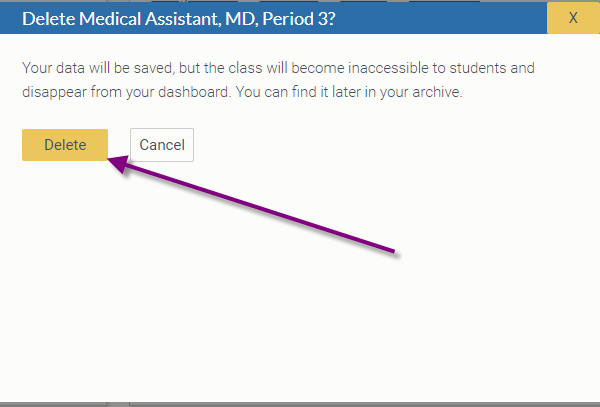 On the class you would like to delete, click Delete.